Visit our Facebook Page, follow us on Twitter or Instagram, check us out on 4Square for our most current specials. If you especially enjoy something, please let us know and send in a photo for posting. 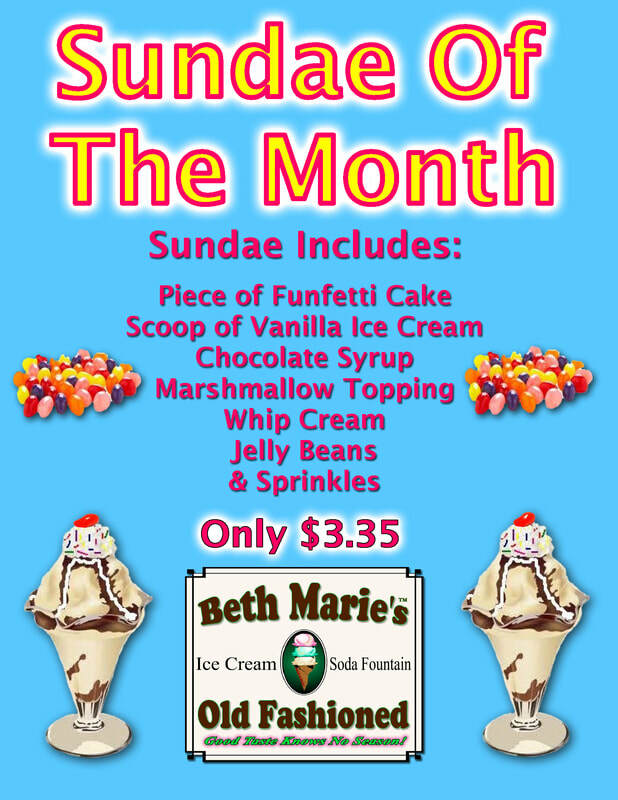 Thanks for visiting Beth Marie's and our website! 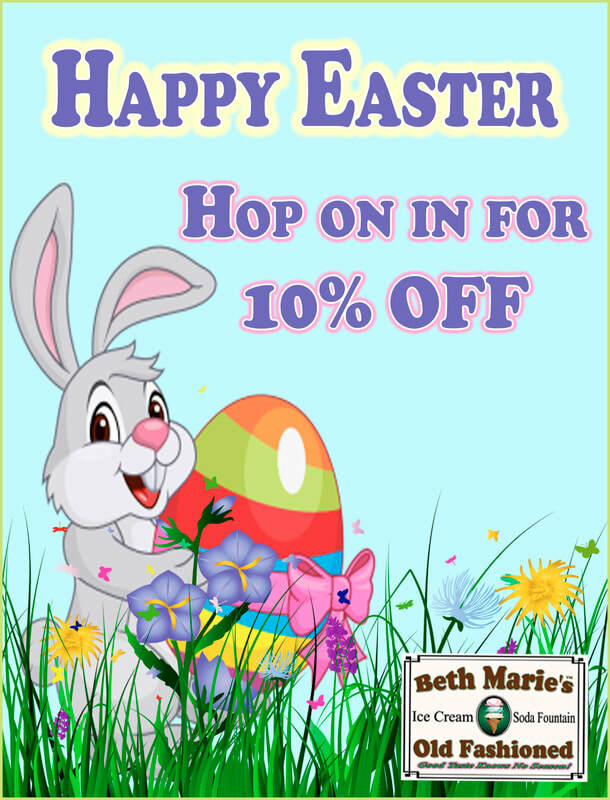 Show this on your phone or print this page to enjoy these discounts.